We may have had to look hard for good food around the national parks, but in Santa Fe, it was easy to find. After a week of hiking around national parks, we were ready for some good food. The town itself is quite charming. If you've never been, I definitely recommend it. All of the buildings adhere to the adobe-style architecture (think tan stucco and exposed wooden beams). The city center is arranged around a town square with the nearby streets lined with shops, restaurants and galleries. If it's galleries you like, there are plenty more (100 in fact) on Canyon road, plus several notable art museums. We started it off right with dinner at La Plazuela, a Mexican restaurant located in the La Fonda hotel, which is nearly 100 years old. La Plazuela's dining room is located in the hotel's glass-roofed atrium with a fountain in a center and, typical of a lot of the Southwest, is outfitted with oversized wooden furnishings. We liked everything about Plazuela, from the food and drink to the excellent service and relaxing setting. 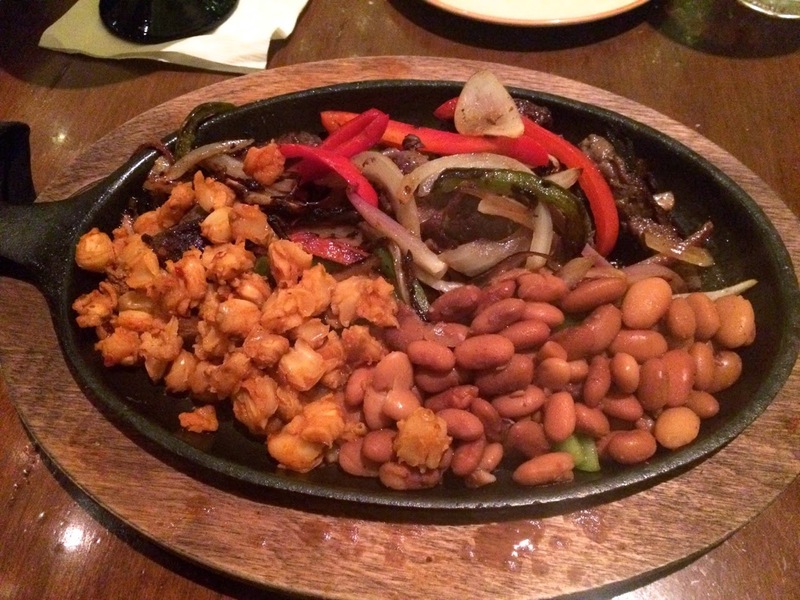 The steak fajitas were the best we ever had: tender and flavorful with good grilled flavor. I loved that it was served with a side of spicy posole--stewed hominy and pork. It's on my list to learn how to make posole. The margaritas were top-notch too, and we happily downed several (we'd been cooped up in the car all day and deserved it). So jazzed were we by our first night of Mexican, that we wanted Mexican on our second night too. We couldn't get into The Shed (it had 2 hour wait--must be really good), but we did find a table at Blue Corn Cafe. It's not as sophisticated a place as La Plazuela, but the fajitas and margaritas hit the spot there too (I guess we're pretty easy to please when it comes to those things). The skirt steak fajitas were a traditional but satisfying array of grilled skirt steak with grilled onions and red and green peppers along with the usual garnishes of tortillas, guacamole, salsa and cheese (everywhere but in D.C. it seems that fajitas come standard with shredded cheese). And yes, there are blue corn chips available for scooping up the roasted tomato salsa. Whether you want a good cocktail before or after dinner, Secreto is the place to go. It was purely luck that this fantastic bar happened to be the hotel bar where we were staying. But don't think "hotel bar" in the traditional sense: think modern craft cocktail bar of the caliber to rival those found in other much larger cities. Actually, I arguably had a better time at Secreto than I did at, say New York's Pegu Club (where the service was basically nonexistent). Secreto nails everything I want in a good bar: interesting menu divided evenly between well-made original concoctions and classics; staff that are friendly, attentive and unpretentious; and no gimmicky entrance--no password, no phone booth, no secret handshake--just a bar, plenty of tables and ample outdoor seating. Our favorite cocktail at Secreto is the Smoked Sage Margarita, a wonderful blend of smoky, tart and herbal flavors made by lighting sage leaves on fire to smoke them into the cocktail shaker (I liked it so much, I made it, here's the recipe). 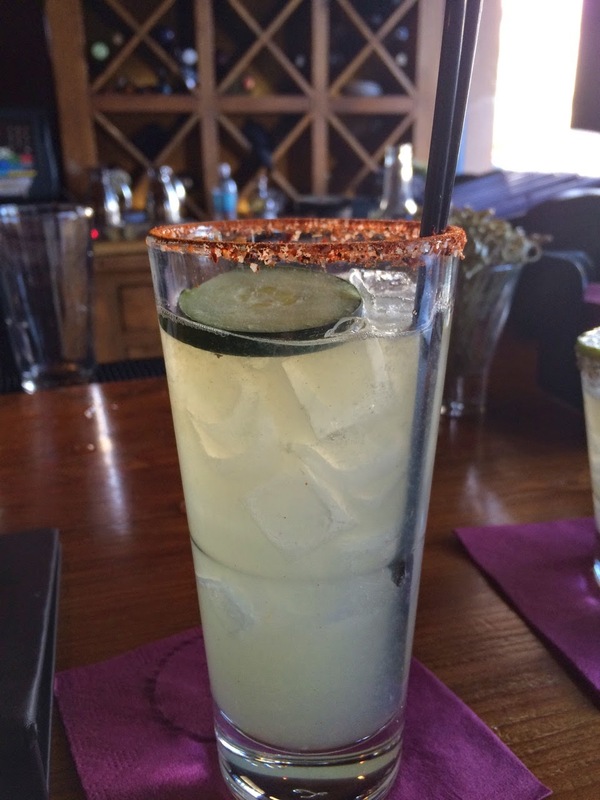 If you like your drink with a peppery kick, I recommend the Spicy Secreto made with cachaça, elderflower liqueur, cucumber, lime, sugar and touch of spice. The Local Beet, a play on the Tom Collins, really lives up to the "garden-to-glass" monicker of Secreto's creative cocktails, an earthy-sweet mix of gin, homemade beet syrup, lemon, tonic and a thai ginger sea salt rim. We didn't get around to sampling any of their classic drinks, but if you want a Martinez, Last Word or Boulevardier, I can't imagine they make bad ones. Because we wanted to have plenty of time for wandering around the city, we made quick stops for breakfast and lunch, but they were both worthy places. For breakfast, we hit up The Plaza Cafe, a friendly diner located right on the central Santa Fe plaza. If you agree it's never too early for spicy, then I recommend the blue corn enchiladas with spicy green chile sauce (it's seriously spicy, but really good), eggs, beans and hashbrowns. 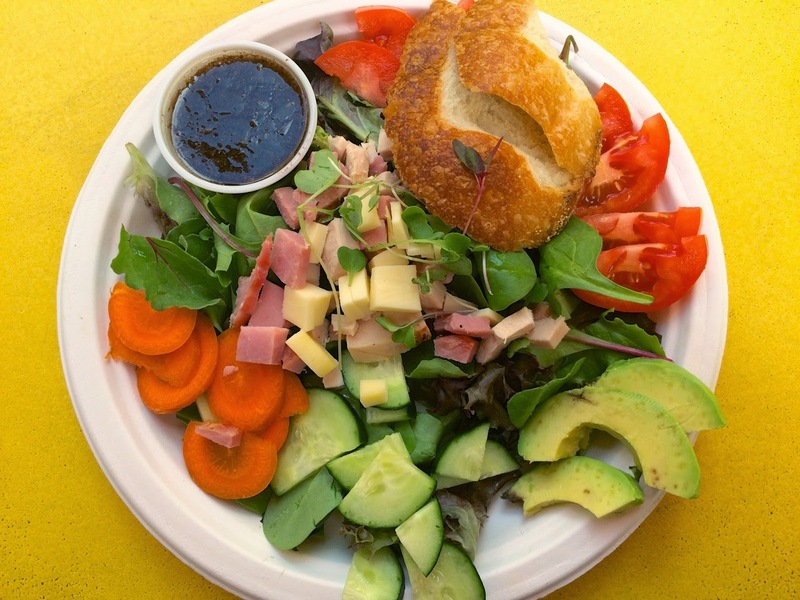 For lunch, since we were wandering around the galleries of Canyon Road, we stopped in at the Café des Artistes for colorful, fresh chef salads that we enjoyed on the outdoor patio perfect for people-watching. 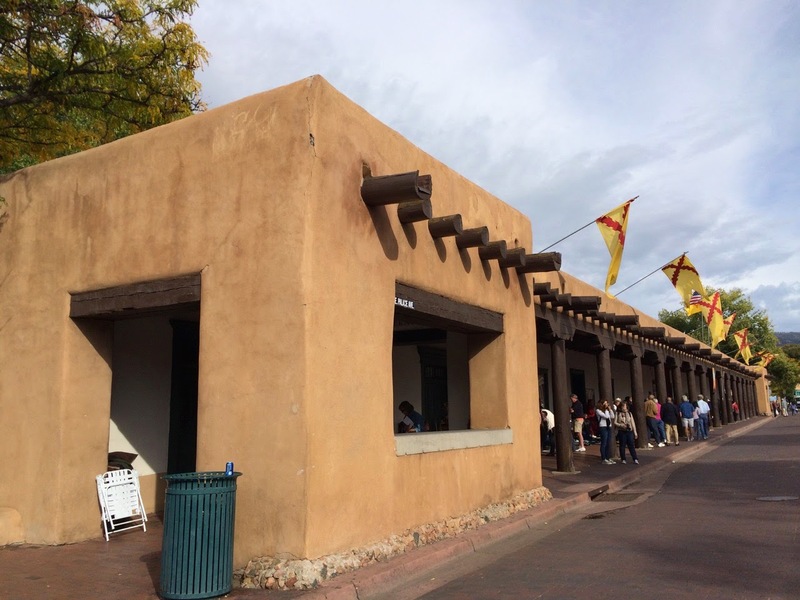 In planning our trip, we knew that we'd probably eat best in Santa Fe, but we were pleasantly surprised by just how well we enjoyed not just the food and hospitality, but everything about the city. I definitely want to go back. In particular, if I could export La Plazuela's Mexican food and Secreto's cocktails to D.C., I'd be very happy indeed. Blue Corn Cafe, 133 W Water St, Santa Fe, New Mexico. (505) 984-1800. Café des Artistes, 223-B Canyon Road, Santa Fe, New Mexico. (505) 820-2535. The Plaza Cafe, 54 Lincoln Avenue (on the Santa Fe Plaza), Santa Fe, New Mexico. (505) 982-1664. La Plazuela, 100 East San Francisco Street (in La Fonda Hotel), Santa Fe, New Meixco. (505) 995-2334. Reservations: Open Table. Secreto, 210 Don Gaspar Avenue (in the St. Francis Hotel), Santa Fe, New Mexico. (505) 983-5700.